Does your company need a fast, reliable black and white copier in the office? The Xerox Versalink B405 is great little device. Right out of the box, you’ll count on your Xerox Versalink B405 to consistently and flawlessly perform the tasks that make your business work more efficiently. With copier speeds of around 45 pages per minute and a first page out time of 8 seconds and copy speed of 6 seconds this may be the perfect copier for you. Just because its small doesn’t mean you sacrifice quality. With an amazing print resolution of up to 1200 x 1200 dpi there’s no sacrifice required! This copier has the option of adding additional trays and even a Wi-Fi kit. Meaning if you are a small business without a network installed you can still print as easy as if there was one. No need to connect the copier direct to your PC. 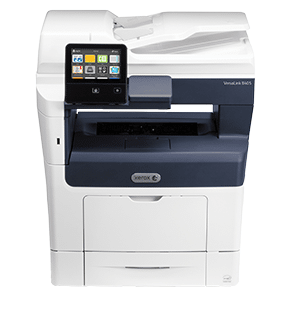 The VersaLink B405 copier gives you the freedom to work where and how you want with direct connectivity to Google Drive, Microsoft OneDrive and DropBox, and access to additional options through the Xerox App Gallery.